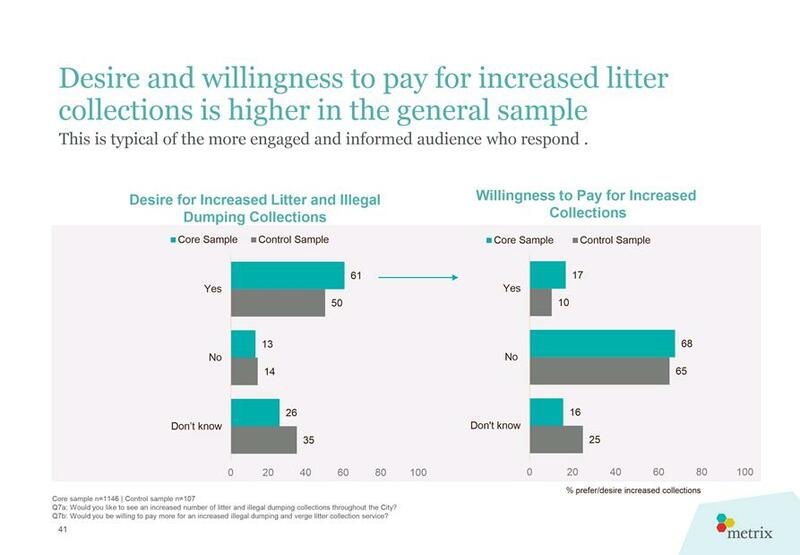 To consider the City’s Service Delivery Review of Waste Services. 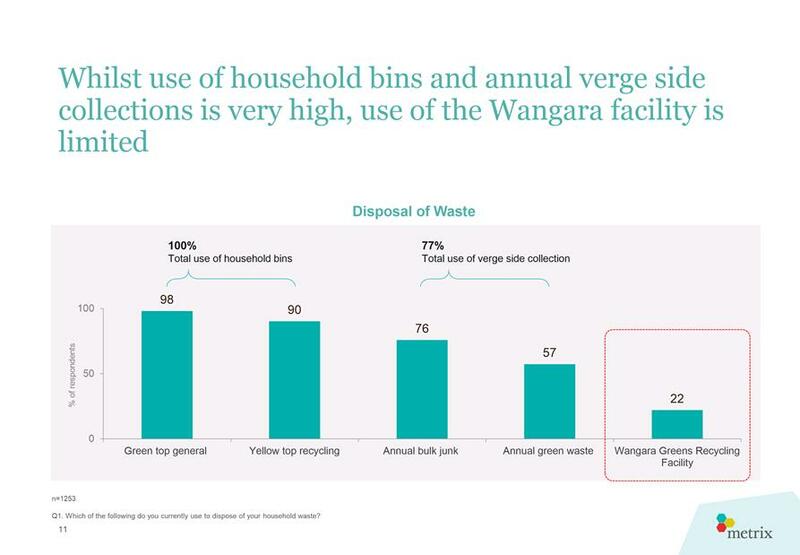 · the provision of a green waste drop-off facility for residents of both the Cities of Wanneroo and Joondalup, at Motivation Drive, Wangara. 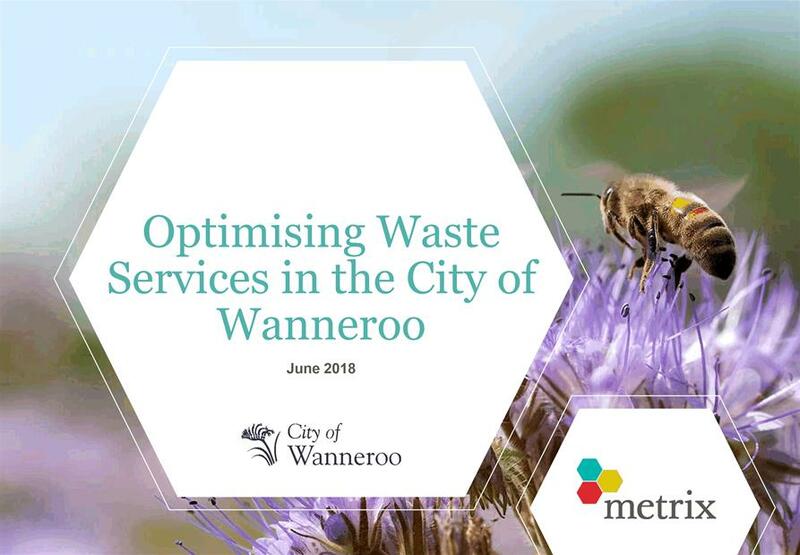 The City has recently undertaken a full review of all waste management services to identify any opportunities that have the potential to provide best value and service to the City’s ratepayers, are able to cope with projected population growth and can provide the most sustainable outcomes when dealing with the City’s waste materials; all in line with Western Australian State Waste Strategy and the City’s Strategic Waste Management Plan. 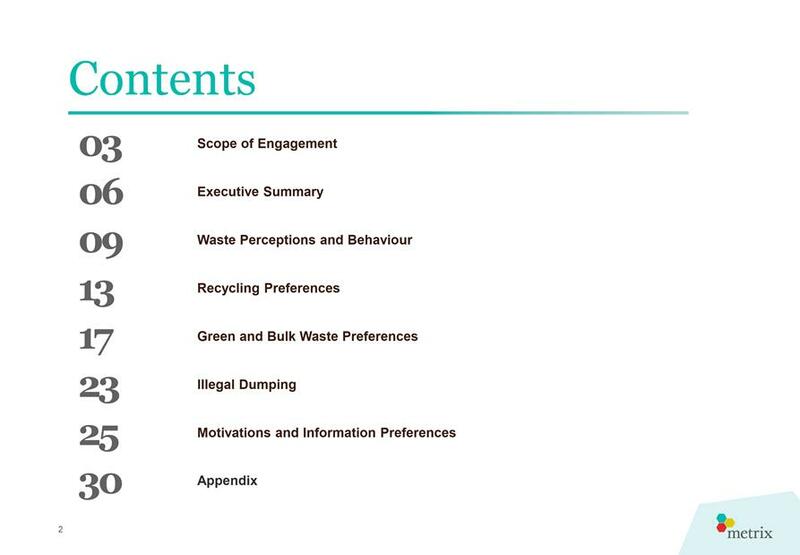 In line with the aims, principles and criteria defined in the Australian Centre of Excellence for Local Government’s (ACELG) manual on service delivery reviews, Administration has undertaken a Service Delivery Review of all waste management operations/services delivered to the City’s residents. 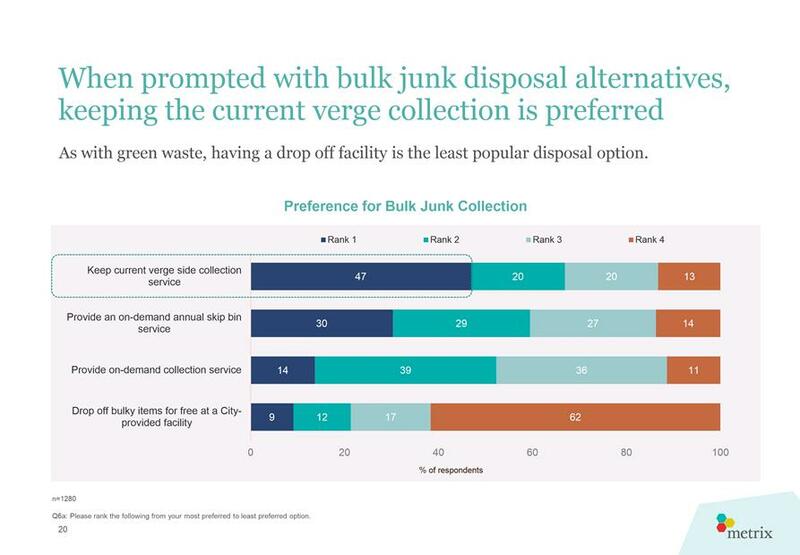 · Stage Two would attempt to identify all available service delivery options and overlay these over the waste management solutions identified during Stage One, and advise on the best potential options(s) for the City. 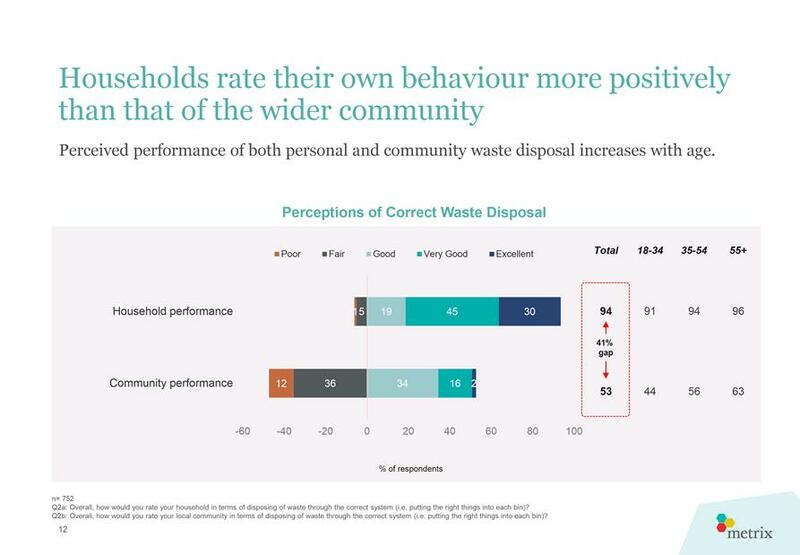 Both stages involved the development and assessment of waste management options against a multi assessment criterion, extensive financial assessments, consideration of the community survey results and consultation with several stakeholders and Elected Members. 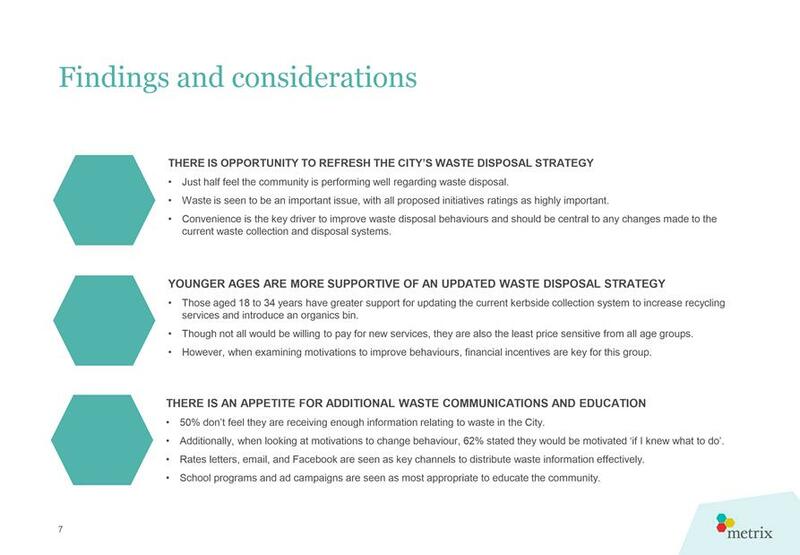 Refer Attachment 1 for the Service Delivery Review Report, written in line with the aforementioned ACELG manual, which discusses the Service Delivery Review process, findings and outcomes, and provides a strategic direction on the preferred waste management; service delivery model for the City and a direction on the Better Bins Program. 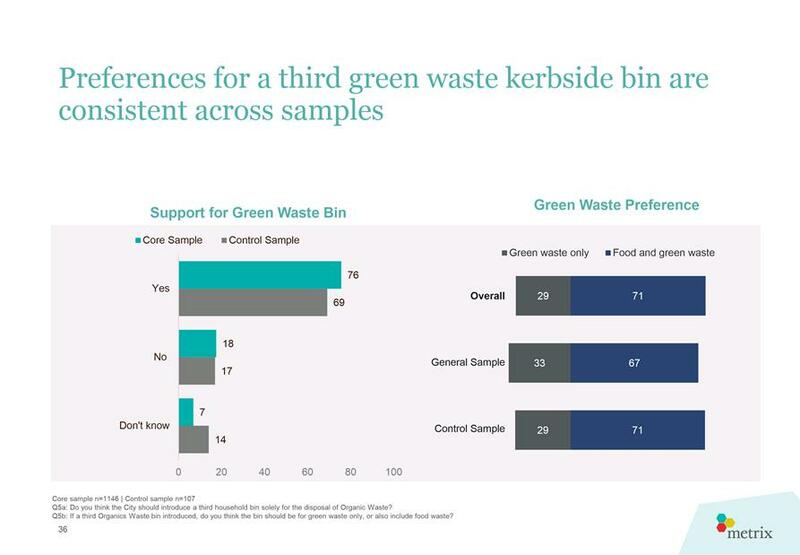 Numerous internal stakeholders have been involved in the identification and development of the options assessed as part of the Service Delivery Review, as have external parties from other local governments and waste industry companies in Western Australia, and further afield. 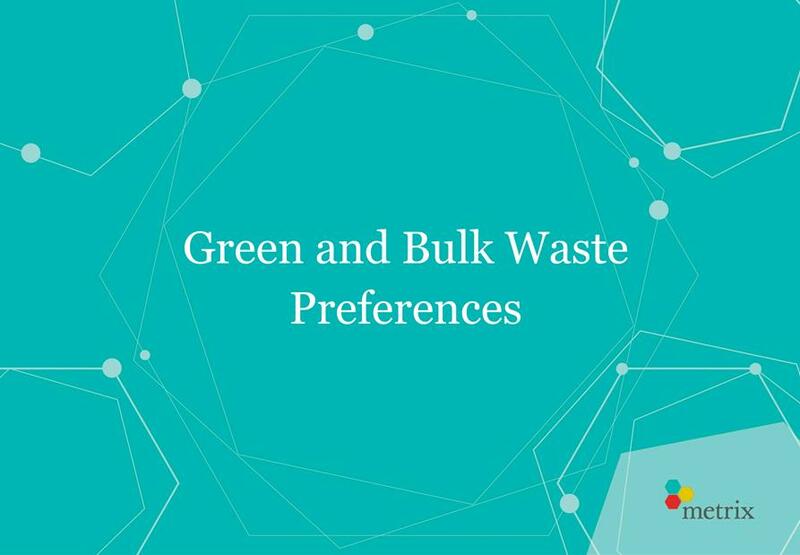 Internal consultation and auditing has also occurred on the financial models created to allow a comparison of costs of all identified waste management and service delivery options. The approach to undertake this review in two stages was considered appropriate, and one which ensured that the City identified the best possible, and available, waste management options prior to undertaking a detailed analysis of the available service delivery options. 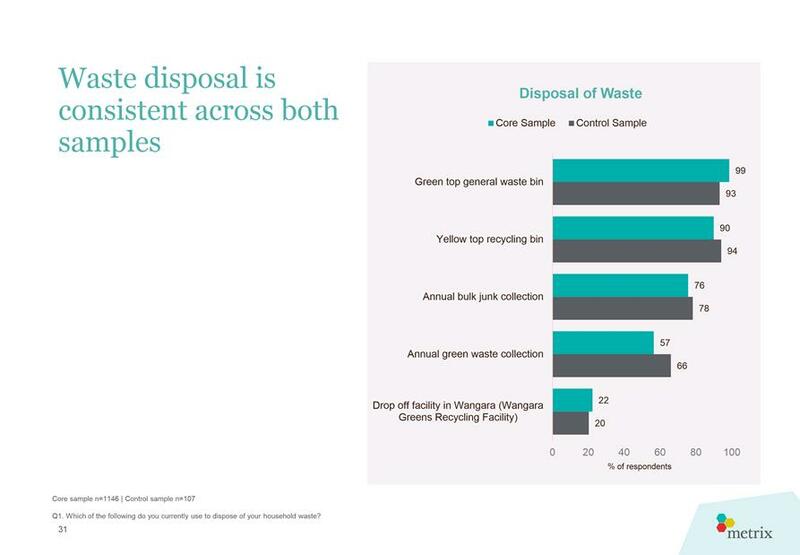 As discussed previously, Stage One of the process identified all viable waste management options for the City’s waste, in line with the City’s Strategic Waste Management Plan, and following an extensive investigation in to what could be available from the resource recovery industry within WA. 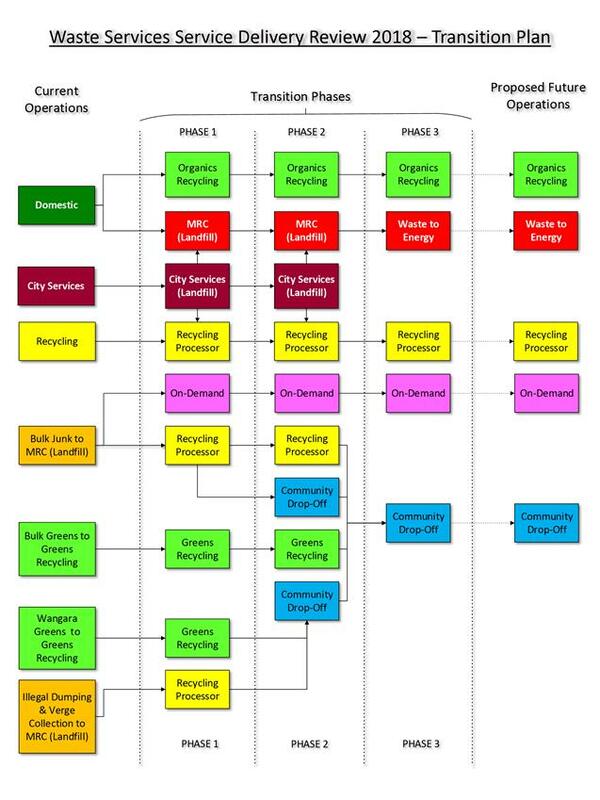 Stage Two of the process has sought to integrate the best possible waste management and service delivery options available within the boundaries of the City, now and into the future, and subject to decision by Council, offers the opportunity for the City to implement a Transition Plan, that can provide State-leading services to residents over a period of time, refer Attachment 2. 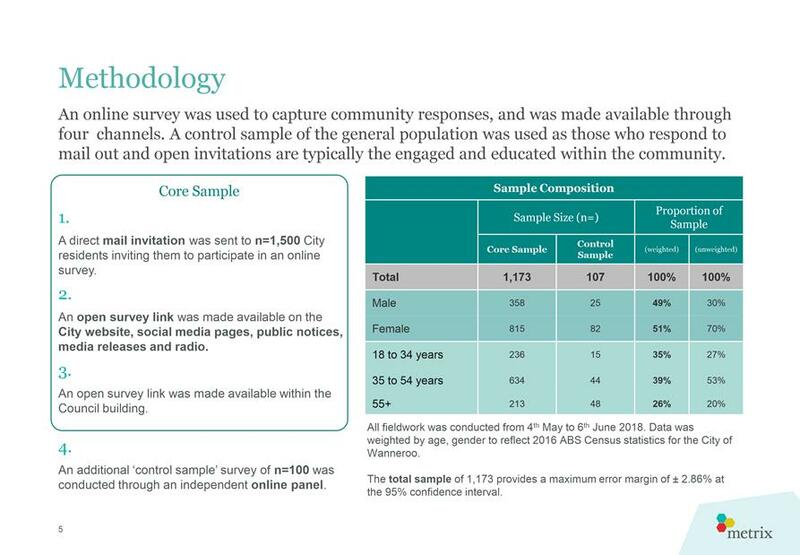 The responses received for the community survey, refer Attachment 3, undertaken during Stage Two, were key in informing the development of the options proposed in the Transition Plan. 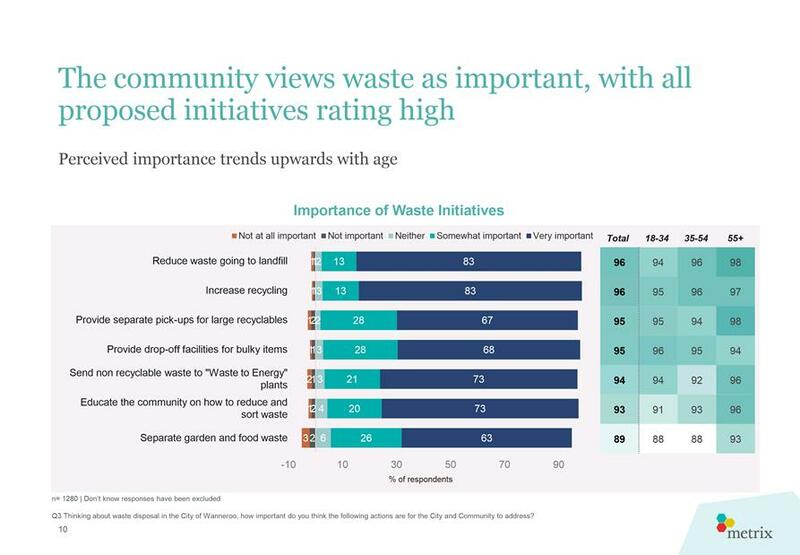 The Transition Plan offers the opportunity for residents to become more responsible for their own wastes as cost effectively, sustainably and close to home as possible. By doing so the City aims to provide the best value to its community and take advantage of the City’s natural opportunities, available land, growth potential and lack of current infrastructure, community organisations, etc. 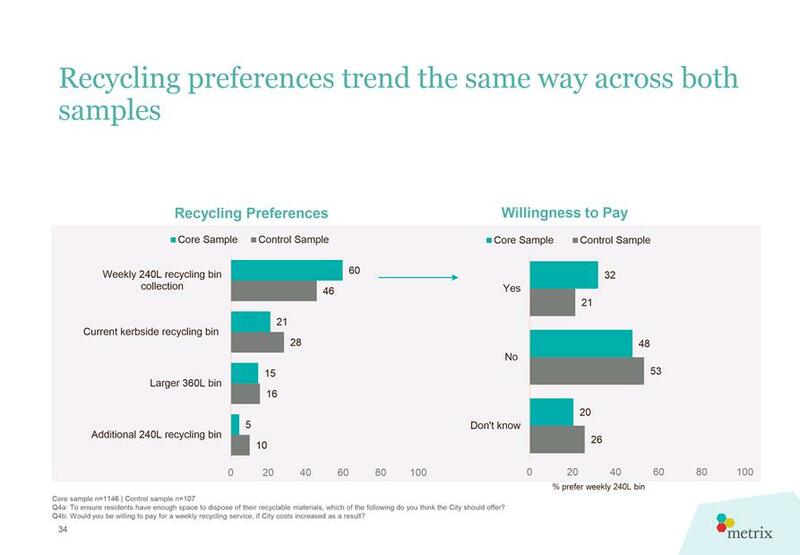 The outcomes from the Review process highlight that implementing the Transition Plan will result in a considerable improvement in recycling performance for the City, allowing it to exceed the State Government’s resource recovery target, ie 65% by 2020. 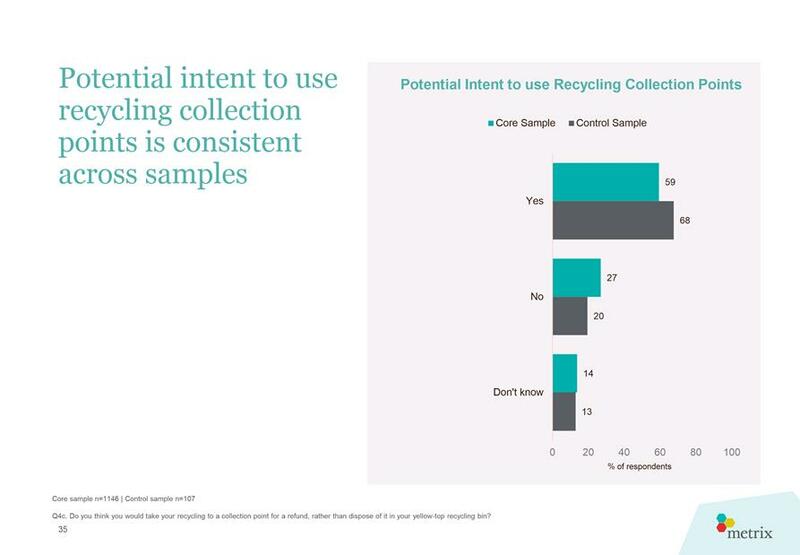 It is important to note that employing the most effective resource recovery methodologies generally has the effect of reducing disposal costs, as the intrinsic value of these resources is maintained by recycling them and offsets any disposal costs. 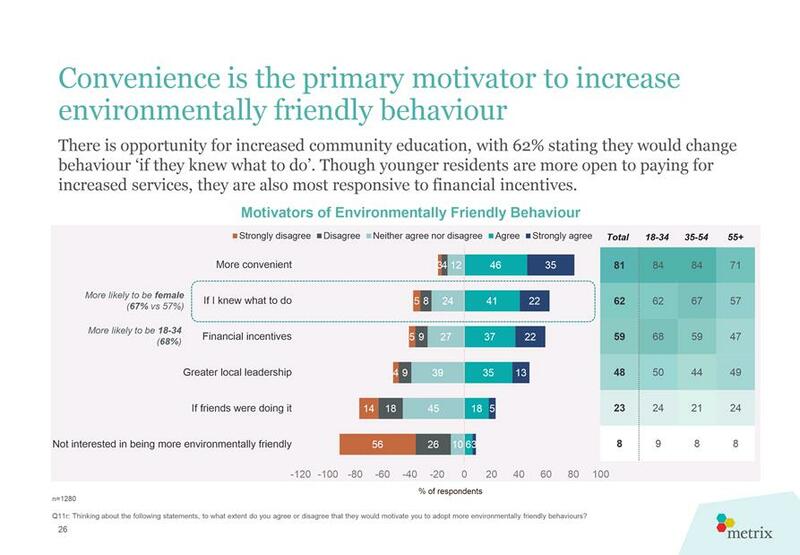 The options proposed in the draft Transition Plan need further development and consideration of several variables including, but not limited to, the impact on the community, change management, resources, approvals, costs and sources of funding, etc. 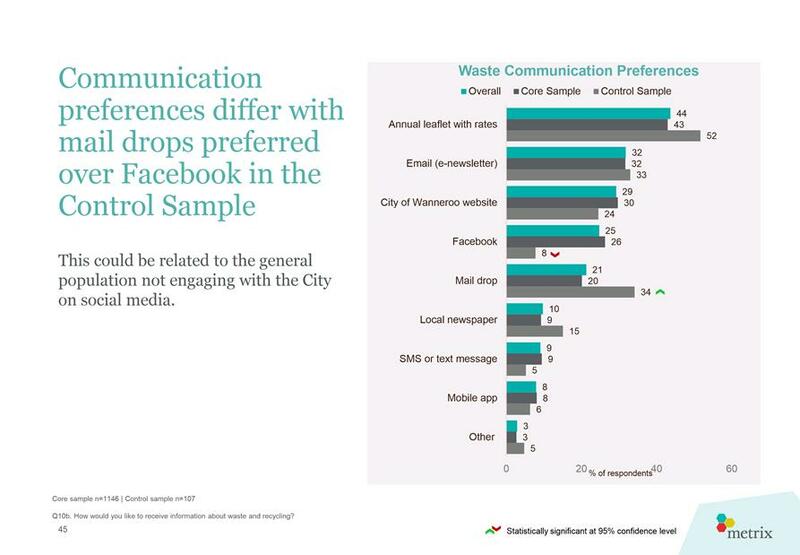 It is proposed that the details of each of these options, as developed, will be presented to Council for consideration and decision. The Chief Executive Officer of the Mindarie Regional Council (MRC) has commenced discussions with the member councils’ Chief Executive Officers on MRC’s strategic direction. 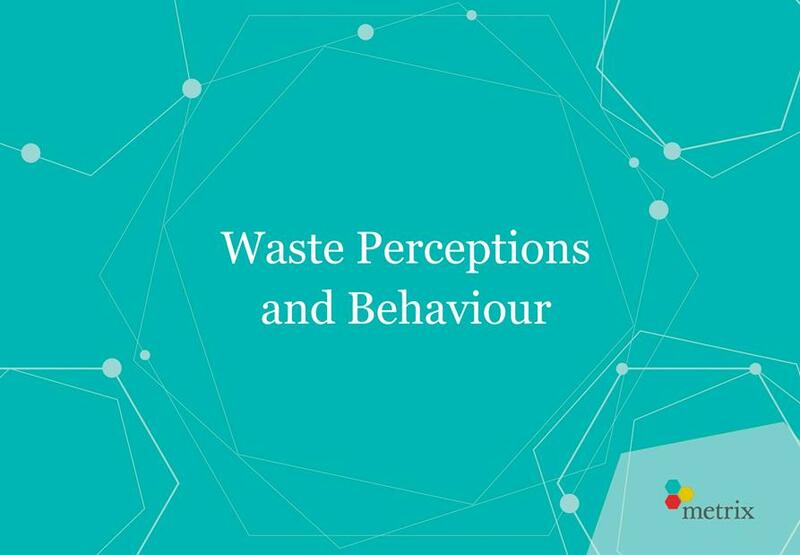 As the City’s waste service delivery outcomes may impact these discussions, it is therefore proposed that the Chief Executive Officer is authorised to share the Review outcomes and commence discussions with MRC. 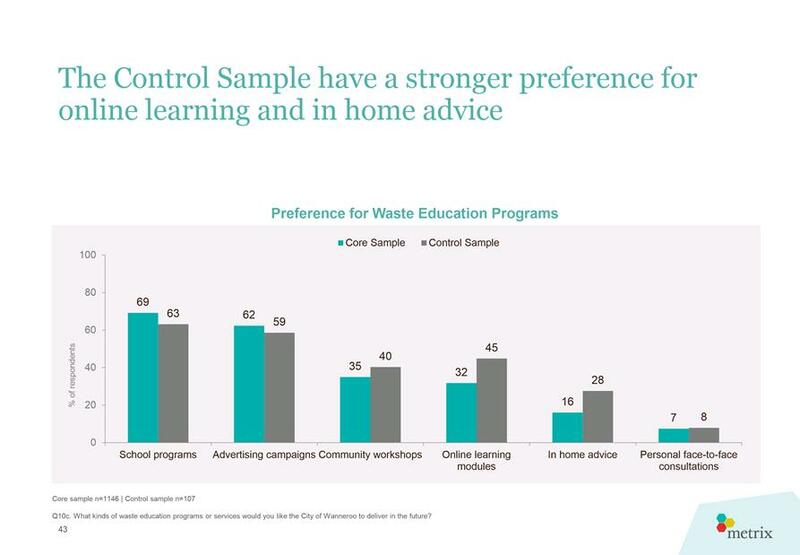 · The householder participation rates as the amount of waste collected through the third bin will be dependent on the appropriate waste being placed in the respective bins. 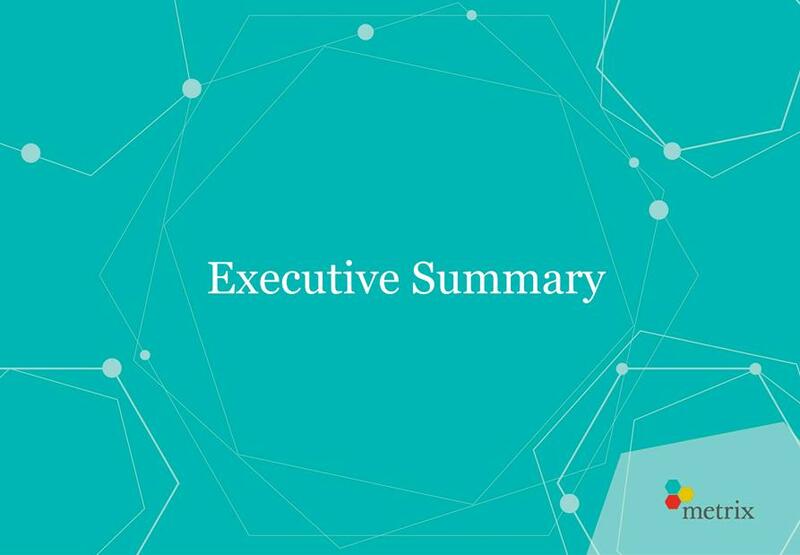 All of the above individual variables have been included in the overall Service Delivery Review and have been assessed alongside many others which became apparent during the process, and have helped formulate the development of the draft Transition Plan. 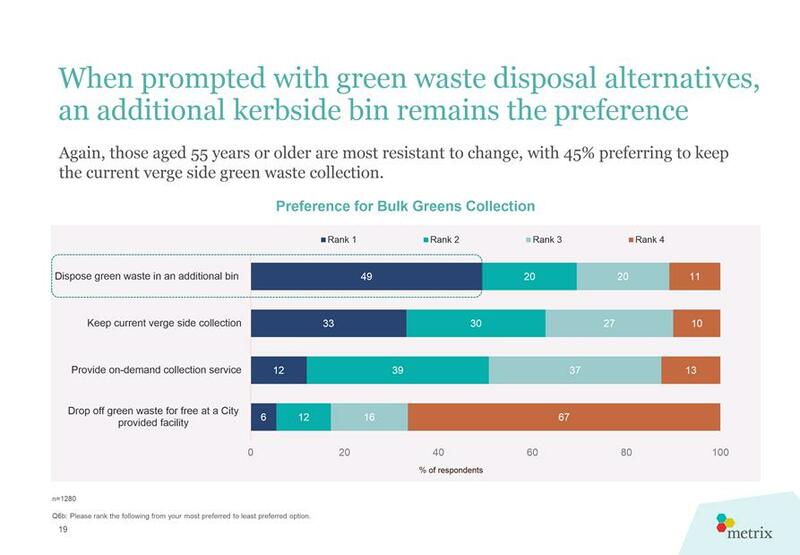 In effect, Council’s endorsement of the draft Transition Plan also provides, in principal, support for the roll out of a three bin kerbside collection system throughout the City; the format of which will be discussed in a subsequent Business Case to be presented to Council. 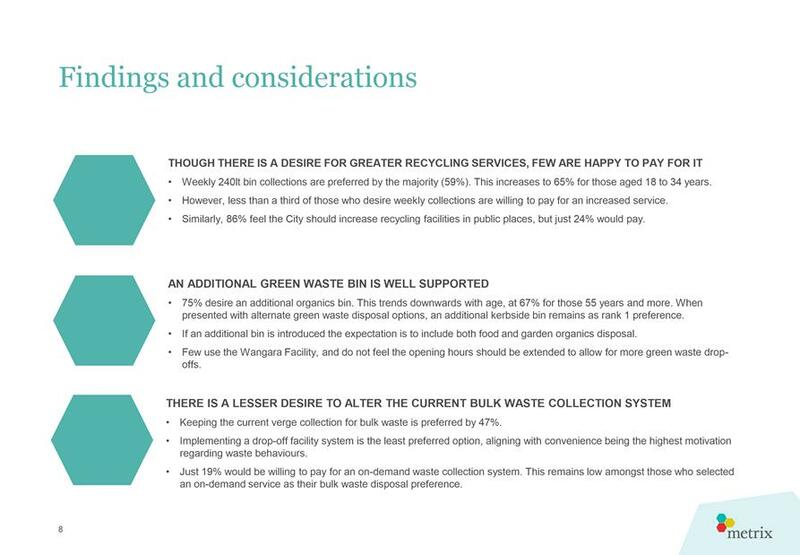 Accordingly, and subject to Council’s endorsement of the proposed Transition Plan, and the roll-out of a Three Bin System for the separate collection of organic wastes, it is also proposed that the City makes an application for funding through the Waste Authority’s Better Bins Funding Program, as resolved on 6 March 2018. This has the potential to provide the City with over $2M of funding through landfill levy funds from the State Government’s WARR Account. The application deadline for Better Bins funding is 31 December 2018. 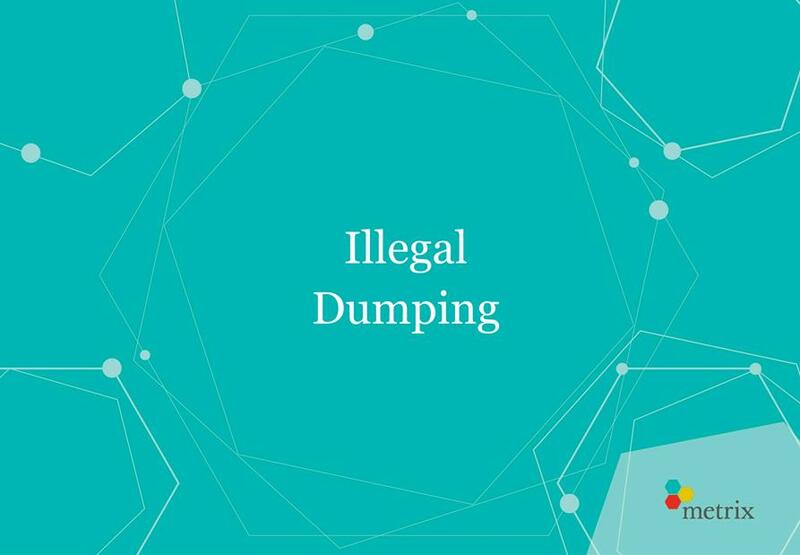 When an application is formally received, a Funding Agreement is drawn up by the Waste Authority and forwarded to the Minister for the Environment for approval. It is likely to be a 8 – 12 week period from lodging an application to receiving the Funding Agreement. 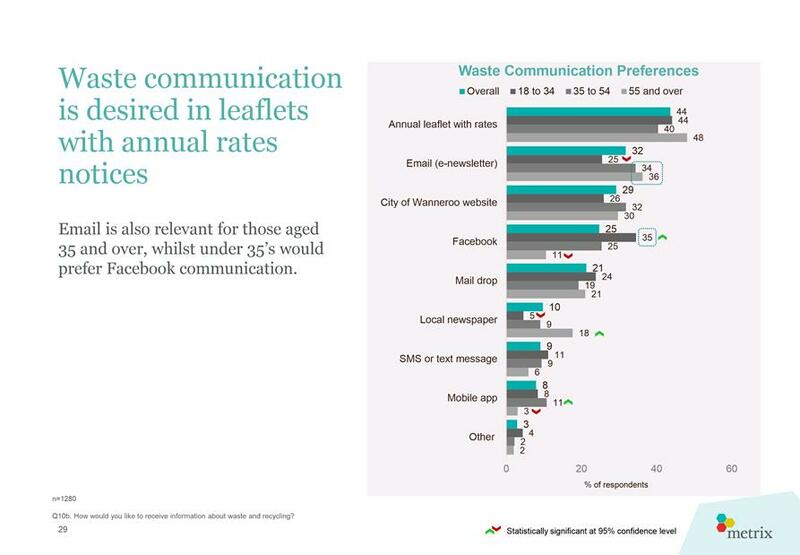 The payment of the first third can be expected around one month later; the second milestone payment is expected up to six months after all bins have been delivered to households and the final payment is due 12 months later; once proof of compliance with the agreed KPIs is provided to the Waste Authority. 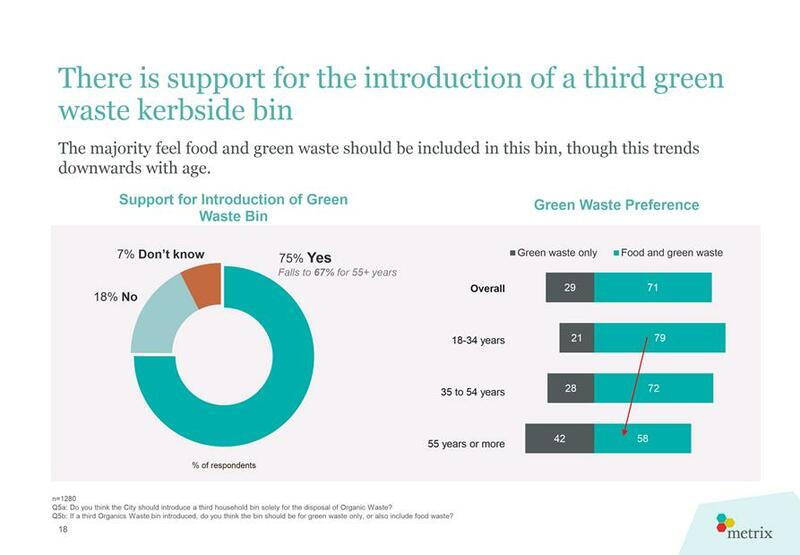 Subject to Council’s further consideration and decision of the Better Bins Program, the City expects to roll-out a third bin to residents at some point during 2019/2020.. 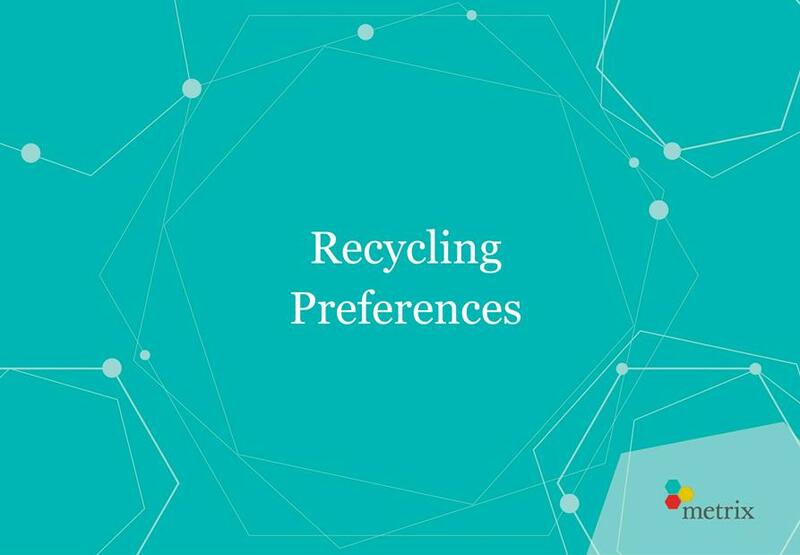 The draft Transition Plan does not propose any waste management changes for recyclable materials as the City currently has a contract in place with Cleanaway until 30 November 2019. 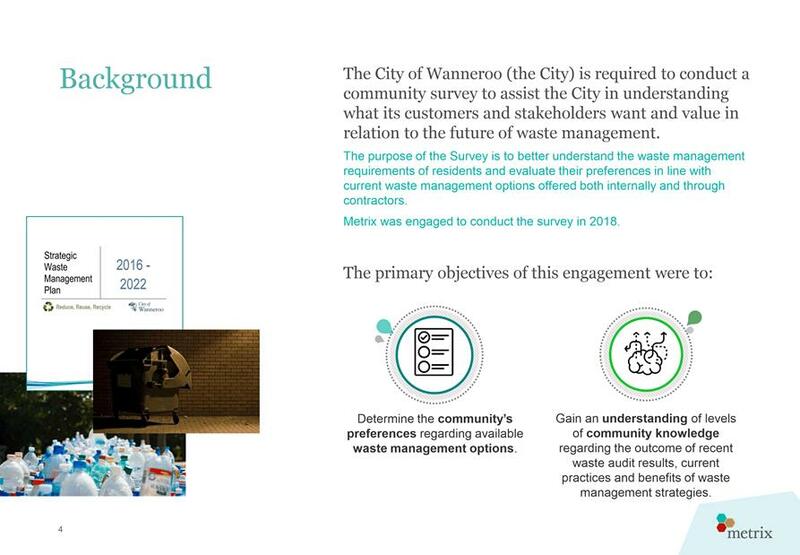 It is proposed that the City prepares itself to secure a provider of recycling services post November 2019, within the boundaries of the City of Wanneroo, as per the assumptions of the Service Delivery Review. 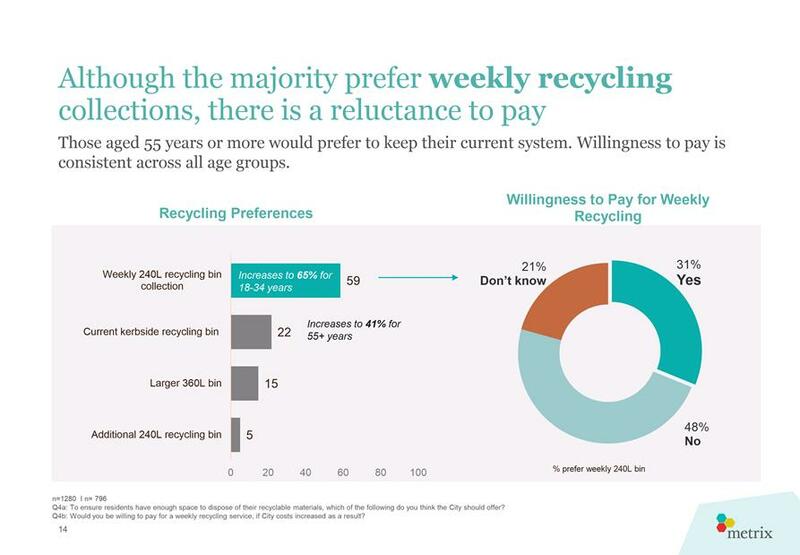 To do so, it is therefore important that the City commence discussions with other local governments, including MRC, to ascertain whether there is interest in aggregating the tonnage of recyclable materials between interested parties, to maximise potential contractual outcomes. 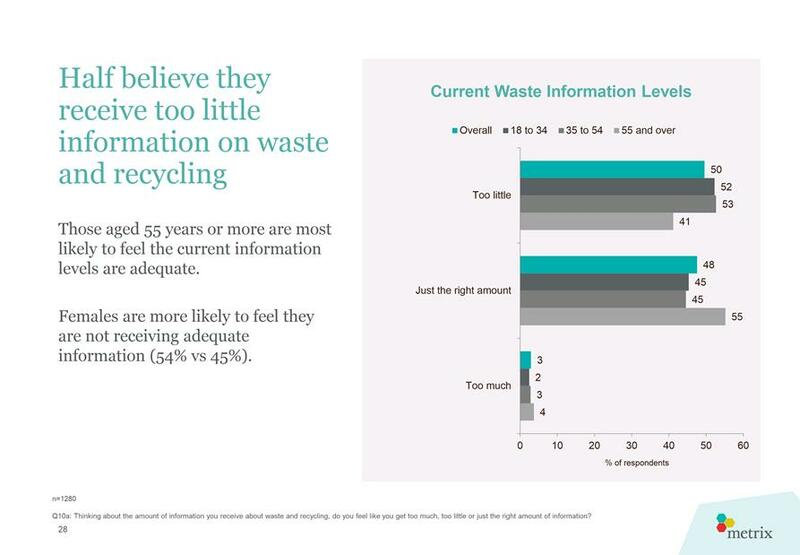 To this end, it is proposed that the Chief Executive Officer commence discussions with the City’s previous recycling contract partners, the Cities of Joondalup and Swan, to determine their level of interest, as well as with the MRC, and report back to Council on the outcome of these discussions. The Waste Avoidance and Resource Recovery Act 2007 (WARR Act) confers on the Minister for the Environment the ability to require any local government to provide waste services to its community in line with the State Waste Strategy. This review seeks to identify the best possible future waste management options for the City in line with the State Waste Strategy. 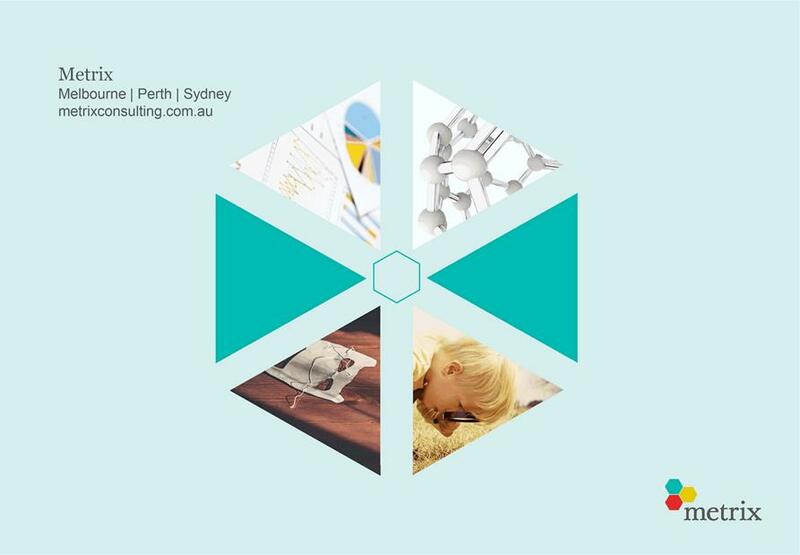 The above risks relating to the issue contained within this report have been identified and considered within the City’s Strategic and Corporate risk registers. 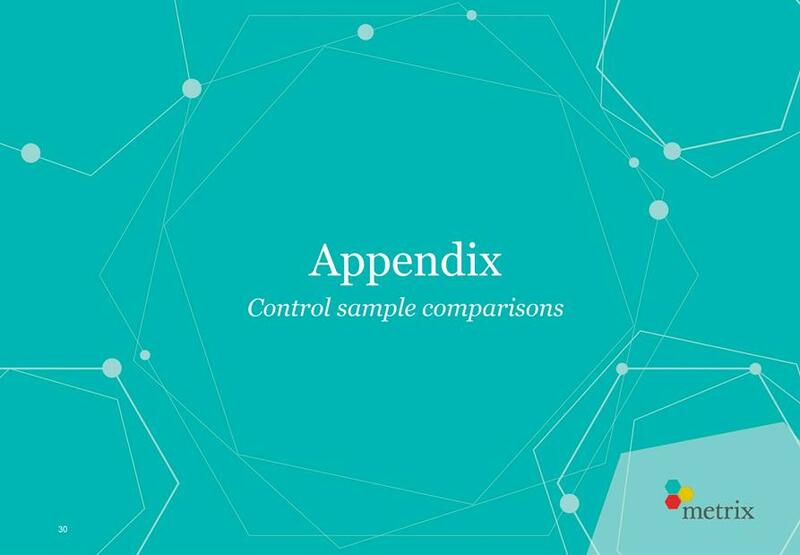 Action plans have been developed to manage these risks to support existing management systems. The City’s Waste Management Services Policy defines the level of waste management service to be delivered to the community. 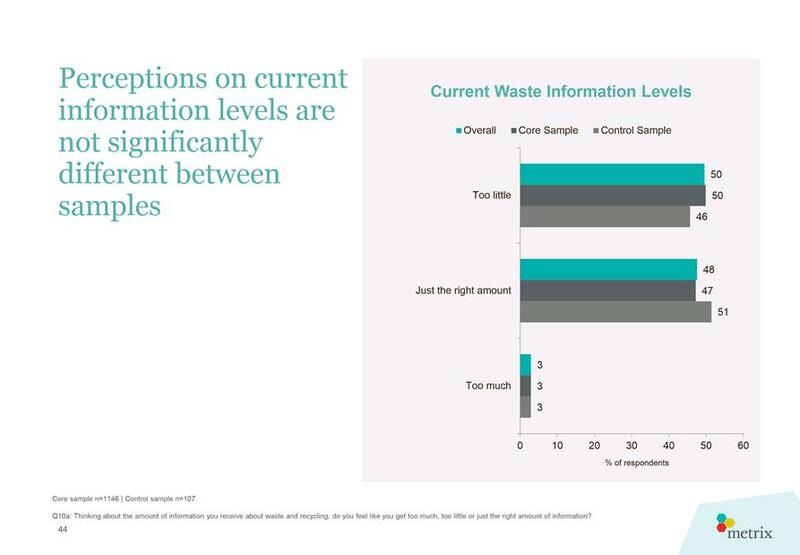 A financial model was developed by comparing Business-As-Usual operating costs with projected costs from the numerous options identified through the Service Delivery review process, and based on information sourced from proponents within the waste management industry and neighbouring local governments. 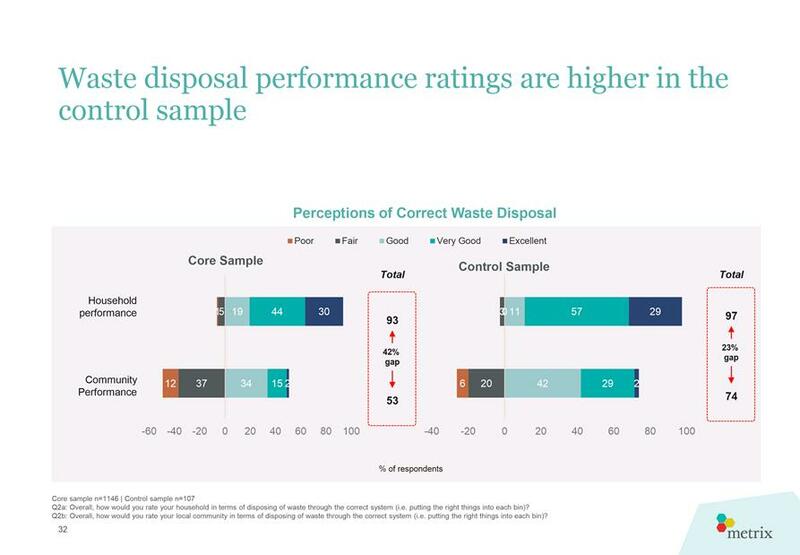 The model allows the City to compare the impact of the proposed waste management and service delivery options identified at current prices. 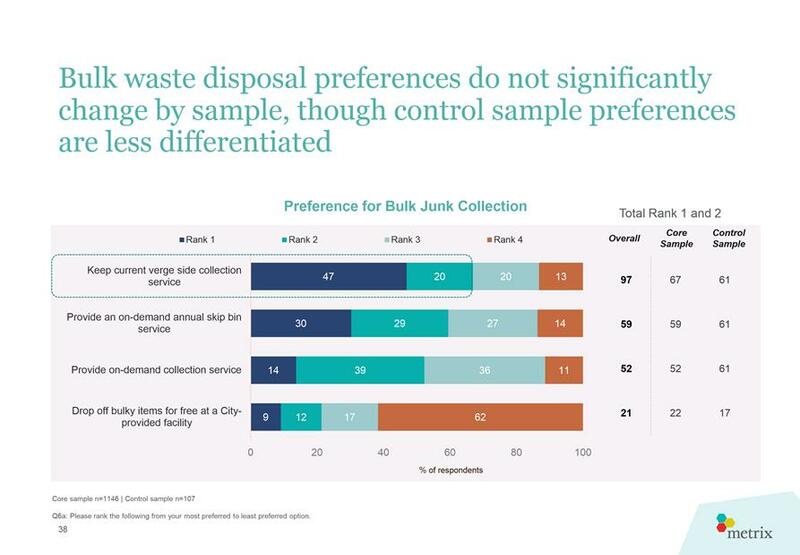 The model does not take into account the City’s projected growth, as this would be identical for all options; nor does it attempt to forecast future prices in the waste management industry, as this is almost impossible given the dynamic nature of the waste management industry. The financial model does however seek to compare the City’s current budgeted costs with the forecasted costs of the options identified, should they be applied in the 2018/2019 financial year. 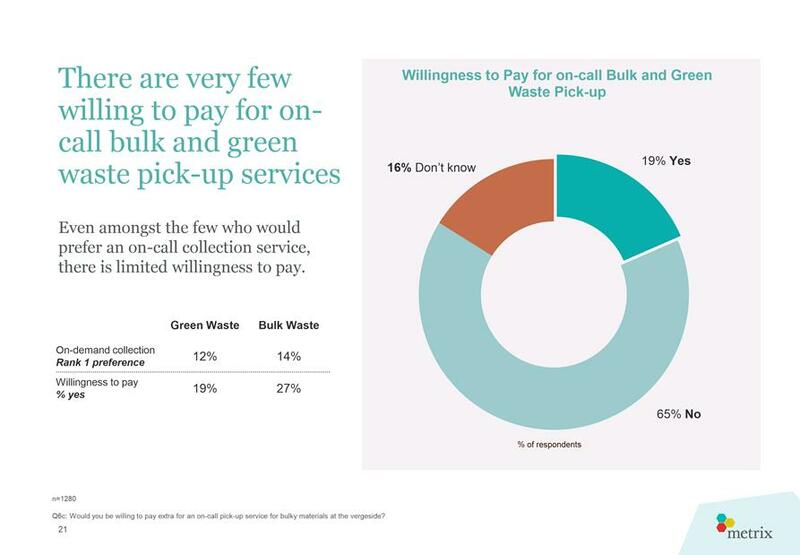 In doing so, it has been identified that the City’s overall waste management costs, and therefore the waste charge to residents, has the potential to improve as the City moves towards its proposed final waste management and service delivery state. All new capital requirements associated with the options developed are not currently included in the City’s long Term Financial Plan (LTFP). However savings expected within the options brought forward mean that operational costs in the longer term are covered within the LTFP. 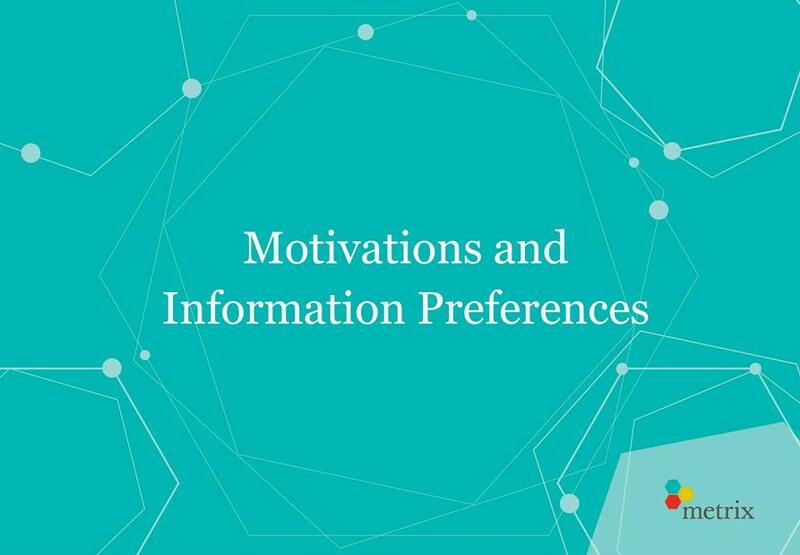 These will be further detailed as the options identified in the draft Transition Plan are developed and business cases presented to Council for consideration and decision. 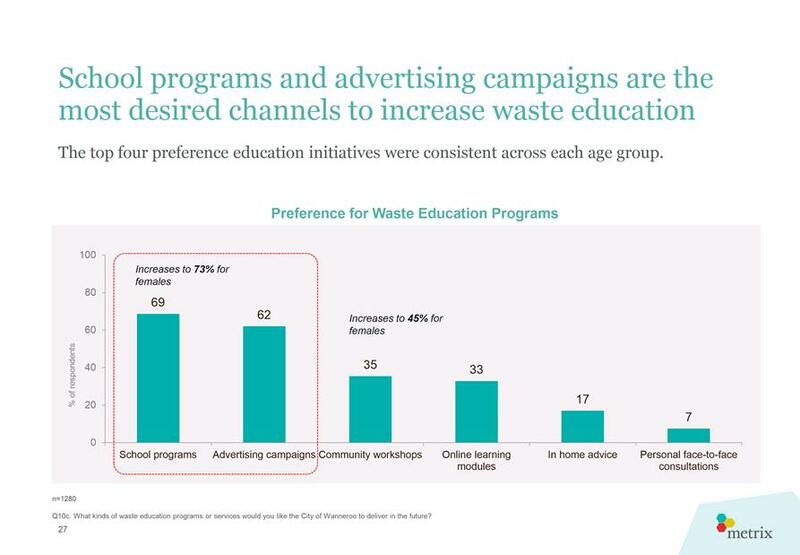 For the Better Bins Program, the initial funding to procure new bins and roll out the program is estimated to be in the order of $10M, assuming full compliance with the Better Bins model. 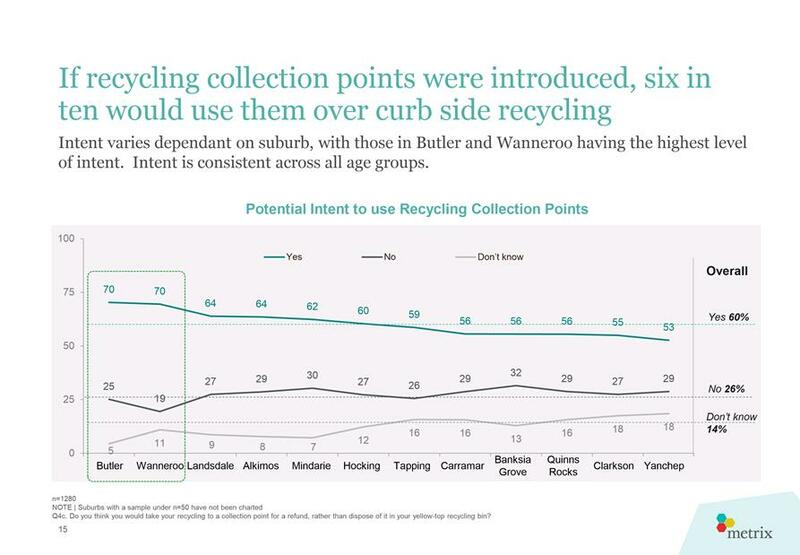 The City has the opportunity to gain up to $30 for each third bin provided per household, in the roll out of a three bin system throughout the community; this equates to around $2.1M in funding. Subject to Council’s decision on the recommendations made in this report, the funding will be required in 2019/2020 and is currently not listed in LTFP. 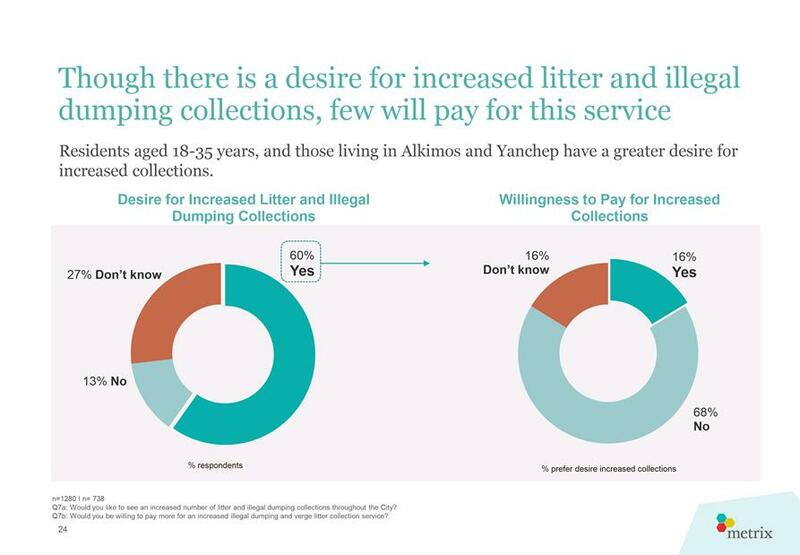 It is proposed to fund this requirement from Waste Reserve. 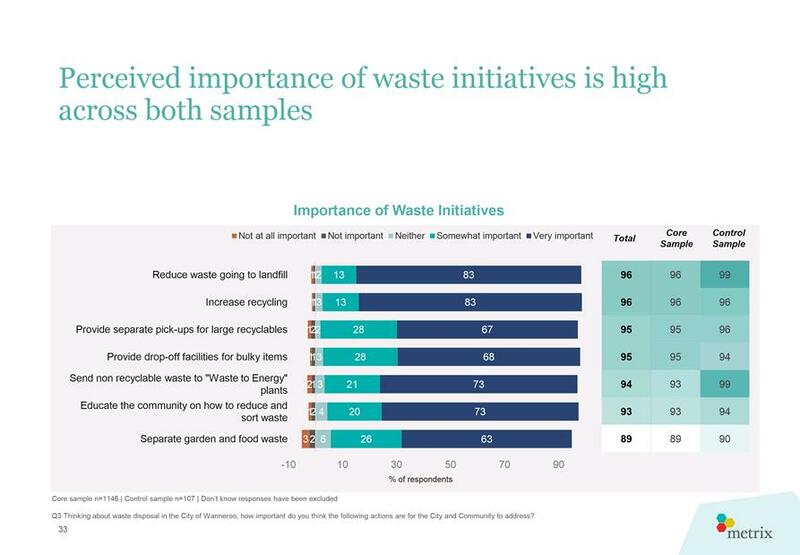 However, the grant funding will not be received in 2019/2020 as it is subject to the successful roll-out of the program and meeting the KPIs, and will be received in the Waste Reserve. 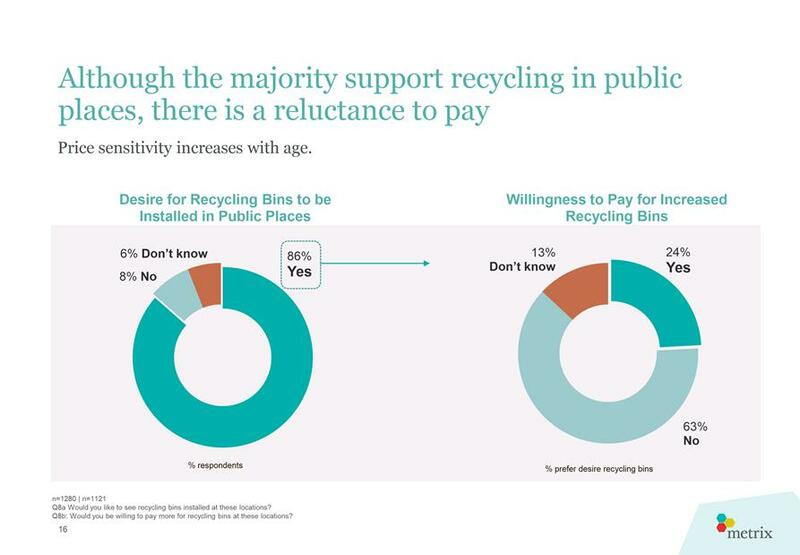 The net financial impact of this program is estimated to be $7.9M, which will be recovered through the savings in the ongoing operational costs, the exact quantum of which, inclusive of MRC cost impacts, will be determined in the business case for the roll out of the Better bins Program. To consider delegation of authority to the Chief Executive Officer to determine and award Tender No. 18179 for pool re-tiling works for Wanneroo Aquamotion. In its current form, Aquamotion attracts approximately 300,000 visitations per annum and an average of 1,400 swim school enrolments per term. Aquamotion also caters for a number of key stakeholders include the Department of Education term based swimming lessons and the Aqua Attack Swimming Club. Since late 2017 Aquamotion has experienced increasingly significant tile delamination on the pool basin of the main indoor lap pool, the indoor leisure pool, the spa, indoor program pool (hydrotherapy pool) and the outdoor deep water pool. The retiling of the program/hydrotherapy pool was completed in February 2018 and the retiling project for the outdoor pool has been included within the scope of works for the indoor pool retiling project. · No twisting of tiles appeared to have occurred to spread the adhesive evenly between tile and concrete shell, resulting in a less than minimum 80% coverage of adhesive. Consequently the sum of $814,245 (PR-4150) was approved within the 2018/19 budget for the completion of these retiling works. Administration has previously advised Elected Members of the tile delamination issue, proposed scope of works and timeframes via email correspondence on 7 March and 23 April 2018. This included advice regarding the need to shut down the pools in May 2018 for core sampling of the pool basins and an indicative project timeframe to undertake the retiling works of 16 weeks from July 2018. 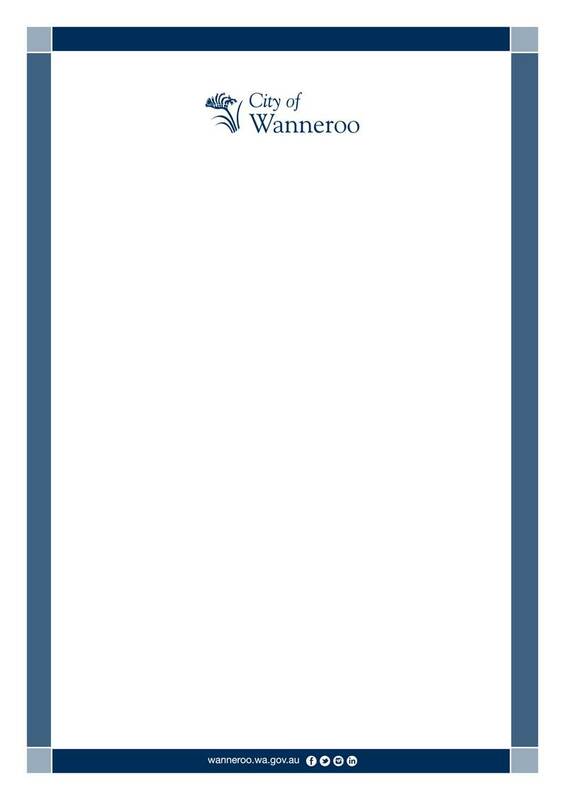 Tender 18179 for pool re-tiling works for Wanneroo Aquamotion was advertised on 14 July 2018 and closed on 3 August 2018. Administration is currently undertaking the tender assessment, with a view of having this process completed as soon as possible. Tender assessment is likely to be completed by 23 August 2018 after completing the necessary financial risk assessments and reference checking on the preferred tenderer. The tender recommendation is therefore likely to be ready for Council’s consideration after the Ordinary Council Meeting to be held on 21 August 2018. · Replacement of designated areas of existing pool concourse tiling. Consultation with customers and key stakeholders has been ongoing since the initial need for the re-tiling of the indoor pools and subsequent shutdown was identified. This has been undertaken via the City’s social media, web site and direct messaging within the centre. In addition to this, Administration has been in communication with the Department of Education (School Swimming Lessons), Aqua Attack Swimming Club and Aquamotion Swim School customers. Consultation with key stakeholders will continue throughout the project planning and implementation phases, to enable a timely transition back into the centre post the completion of the re-tiling works. As noted above, the preliminary project schedule was based on 16 week project duration, with an expected project commencement from July 2018. 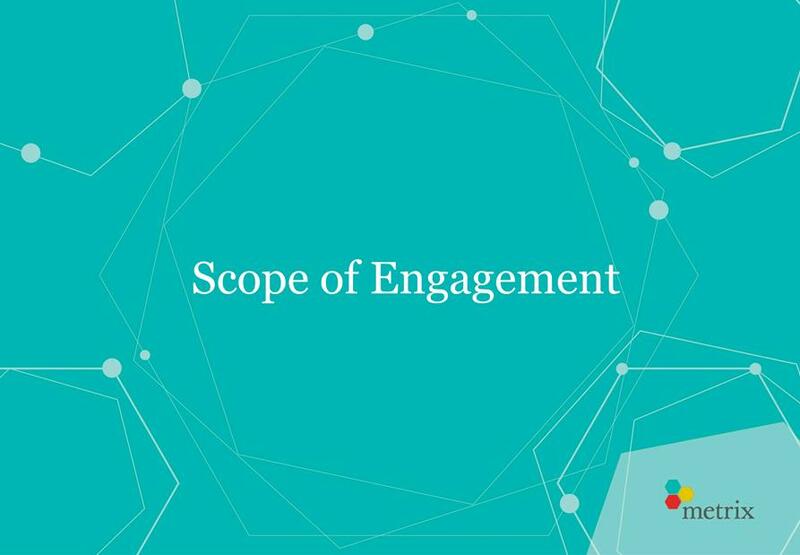 Based on the tender process, it is expected that the project will commence on 3 September 2018 and be completed in November 2018 based on contract finalisation in August 2018 (noting the tender process was delayed as a result of the core sampling of the pool shells and the subsequent scientific analysis). The CEO has delegated authority to determine and award tenders up to a maximum of $1M. As the tenders under consideration for Tender 18179 are valued above $1M, Administration seeks Council’s delegation of authority to determine and award Tender 18179, subject to Council’s decisions in respect to the other recommendations made within this report. This will enable the project timeframes to be met, which will achieve the overall aim of project completion by December 2018, in preparation for the 2018/19 summer season. Delay of the tender award to the September meeting of Council will mean the project will not be completed within the required timeframe, impacting on the availability of the facility at the commencement of the coming summer season. In previous discussions regarding the project, Elected Members had also requested that consideration be given to the provision of an access ramp for the main pool to facilitate improved access. Currently access is limited to the standard in-built steps or lift chair. Administration sought advice from Geoff Ninnes Fong and Partners who have considered relevant standards in terms of disability access, building code and aquatic code requirements. The advice received was that the provision of the access ramp would result in the loss of one lane from the existing 8 lane lap pool (noting lane space is currently at capacity during peak times). 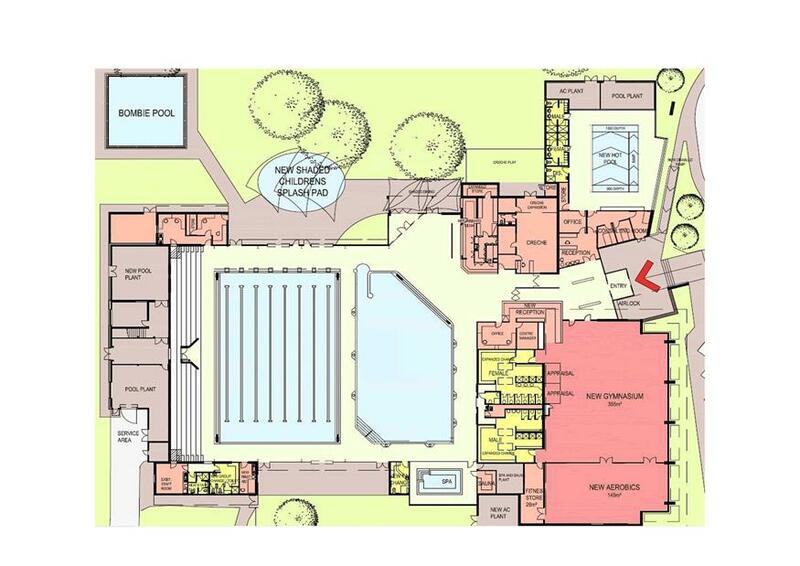 Placing the ramp in the concourse would severely reduce the concourse access around the pool, making the area unsafe. In addition to this there is major pool reticulation under the concourse slabs which would require relocation and rebuilding if this option was pursed. 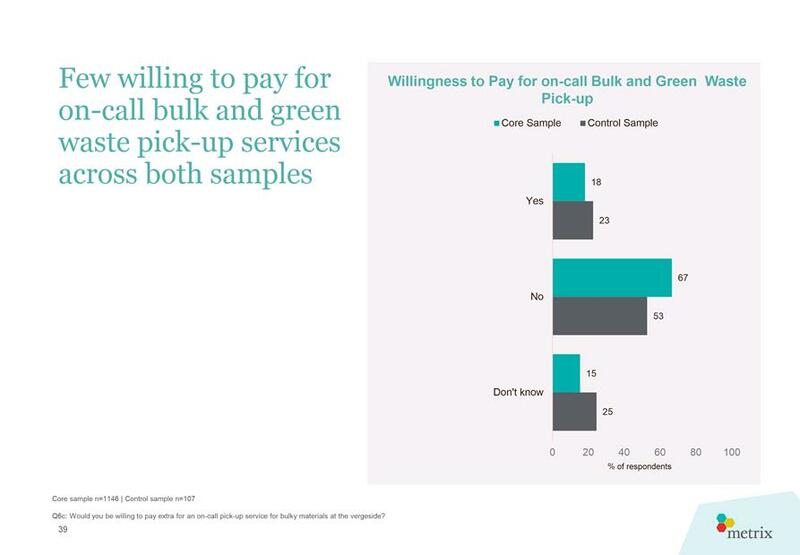 Based on this advice, Administration has not pursed this option further, rather has purchased a set of “drop in” steps as an alternative means to offer improved access to customers. These will be put into use shortly, once relevant task procedures have been completed and staff training undertaken. 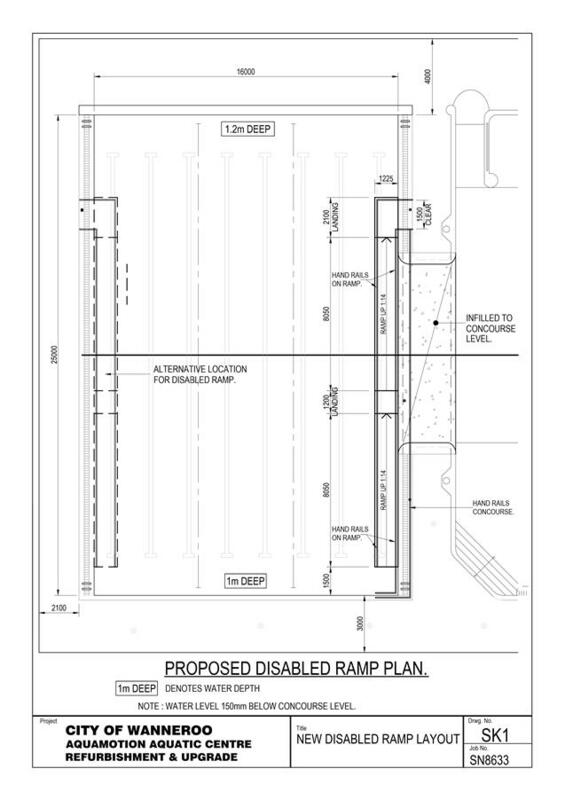 A preliminary concept for the access ramp has been included in (Attachment 2). Tenders were invited in accordance with the requirements of Section 3.57 of the Local Government Act 1995. The tendering procedures and evaluation complied with the requirements of Part 4 of the Local Government (Functions and General) Regulations 1996. 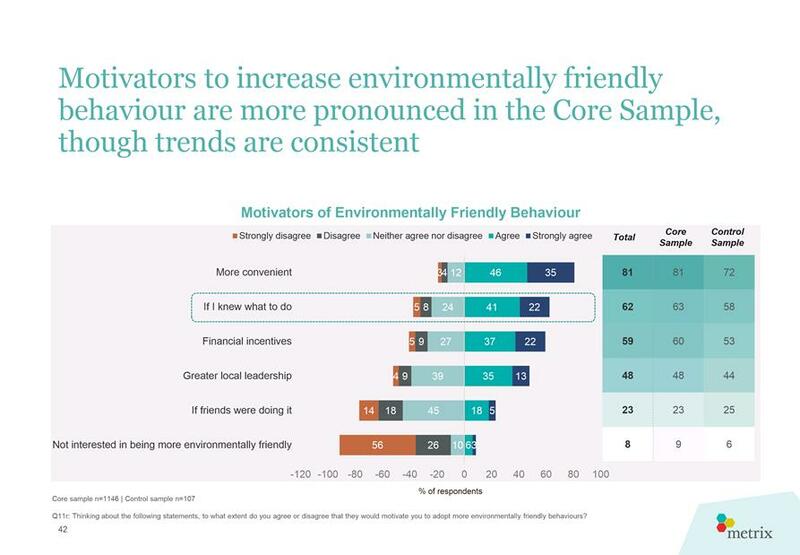 The above risks relating to the issue contained within this report has been identified and considered within the City’s corporate risk register. Action plans have been developed to manage this risk to improve the existing management systems. Tenders were invited in accordance with the requirements of the City’s Purchasing Policy. Funding of $814,245 has been allocated to the project via PR- 4150 in the approved 2018/19 budget. As noted within this report, the likely total project cost as a result of the outcomes of the tender process is approximately $1,454,110. It is intended to address the budget shortfall for the project as a part of the Financial Management Report which is expected to be reported to Council in September 2018. 4. 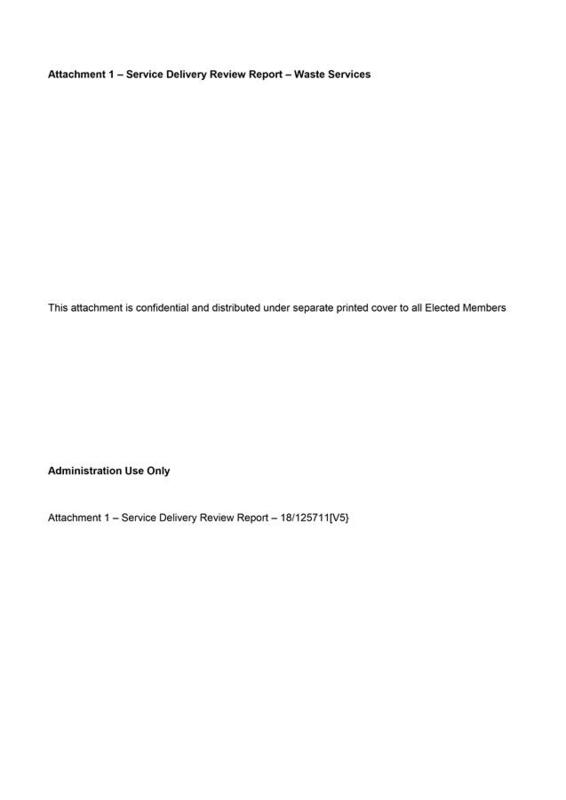 NOTES that Administration continues to consult with Wanneroo Aquamotion’s customers, the Department of Education and Aqua Attack Swimming Club in respect to the shutdown period.